Yes, Melbourne has gone completely wizard-boy wacko since the production Harry Potter and the Cursed Child opened at Princess Theatre. If you have bought tickets then you probably want to make the most of your day of magic and mayhem. Fortunately, there are a few related magical haunts that are all within walking distance of the Princess Theatre. 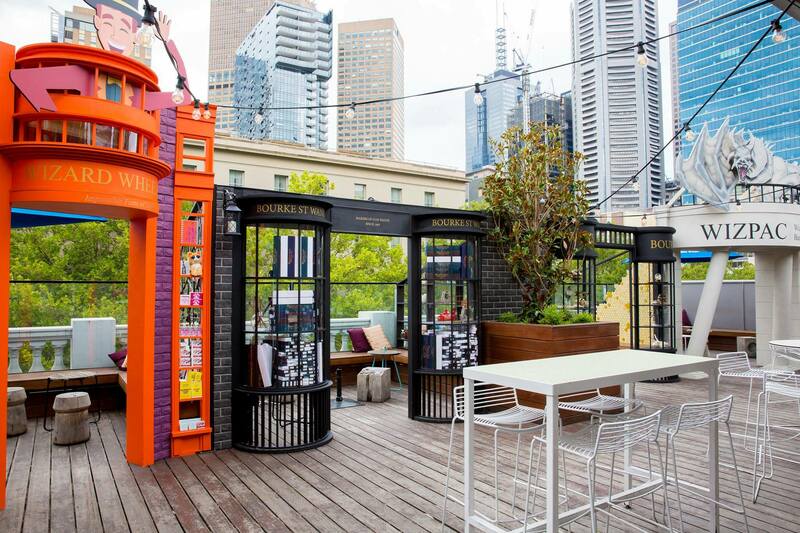 One minute's walk away, The Imperial have turned their rooftop into a wizardry wonderland. If you are there during the interval, it is nice to know you can continue in a magical work without breaking the spell. 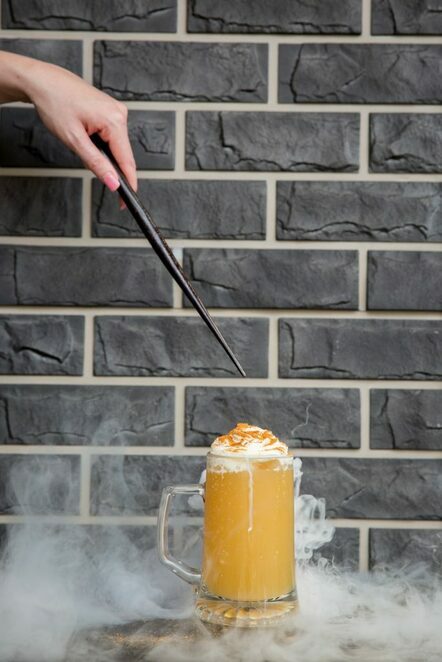 Liquid refreshments include the Liquid Luck - Fireball, vodka, orange & sparkling wine; True Love Potion - pomegranate liqueur, hippocampus raspberry gin, sparkling wine; Pumpkin Juice - Fireball, orange juice, pumpkin juice and Truth Serum - rosemary-infused gin, lavender, lemon juice. For bites, there's Cursed wings (chilli fried chicken wings, sticky sesame. Beware, it's extra hot! ), Imperial pumpkin pasties (house-made pumpkin pasties), Bezeors (pea & mozzarella arancini), Gilliweed tacos, as wells as treacle tart and Siriusly black ice cream. While you are up there check out the stores. 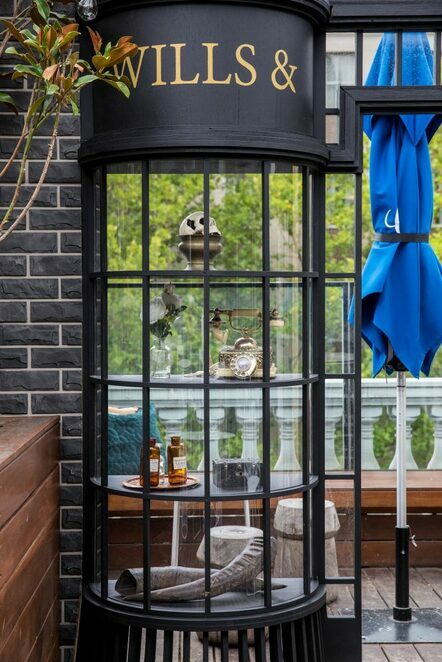 There is The Owlery – there isn't a better place to shop for owls. 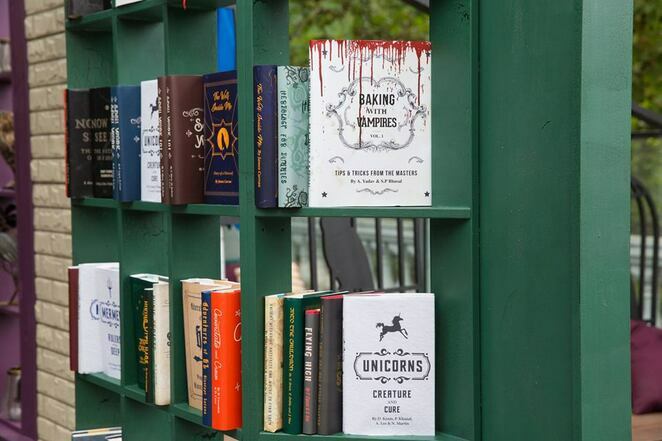 Spring St Spell Books holds Melbourne's most comprehensive collection of magical books. You'll find books on herbology, werewolf autobiographies, spell work, magical cooking and more. 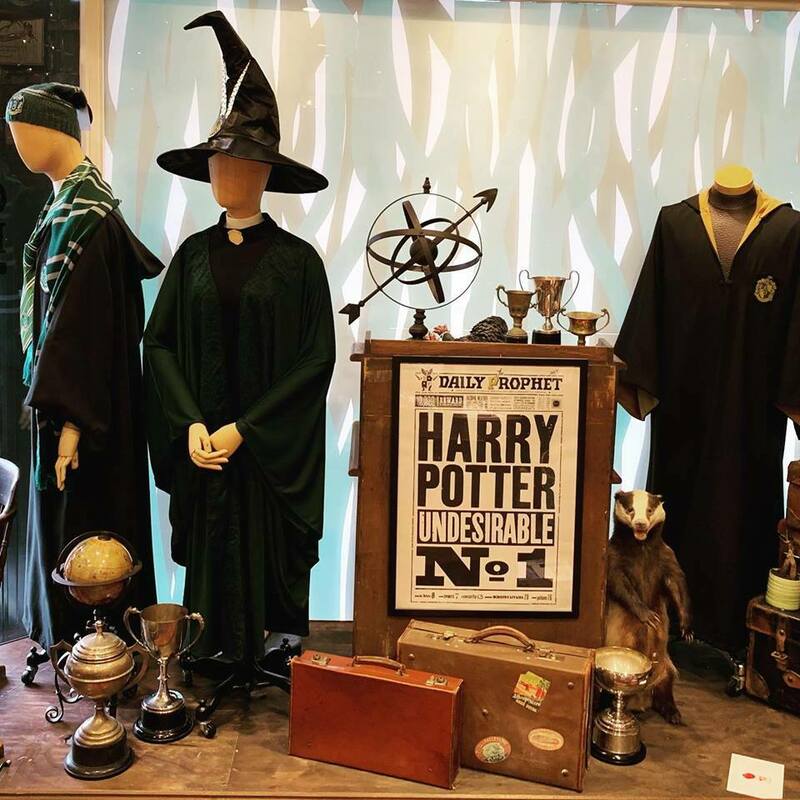 Impossible Feats of Trickery is your go-to for wizarding toys, tricky gifts & supernatural sweets While Bourke St Wands are makers of fine wands since 1901. Wills & Burke has ancient wizarding artefacts for dark wizards & witches. There is even a WIZPAC Bank for all your magical banking needs but beware the dragon! 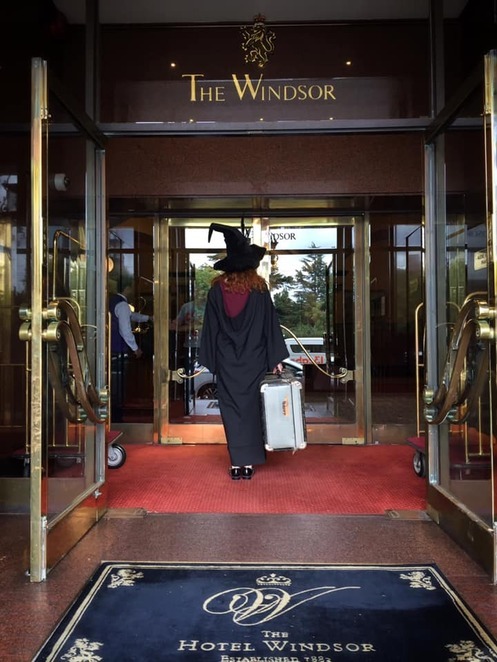 If you looking for somewhere to stay in town close to the Princess Theatre, then The Windsor has created The Windsor Wizards Suite. And this grand old hotel is only a few steps away. The room has been under wraps till now but a few glimpses are starting to come out. You enter another world filled with spellbinding objects from a certain magical universe. 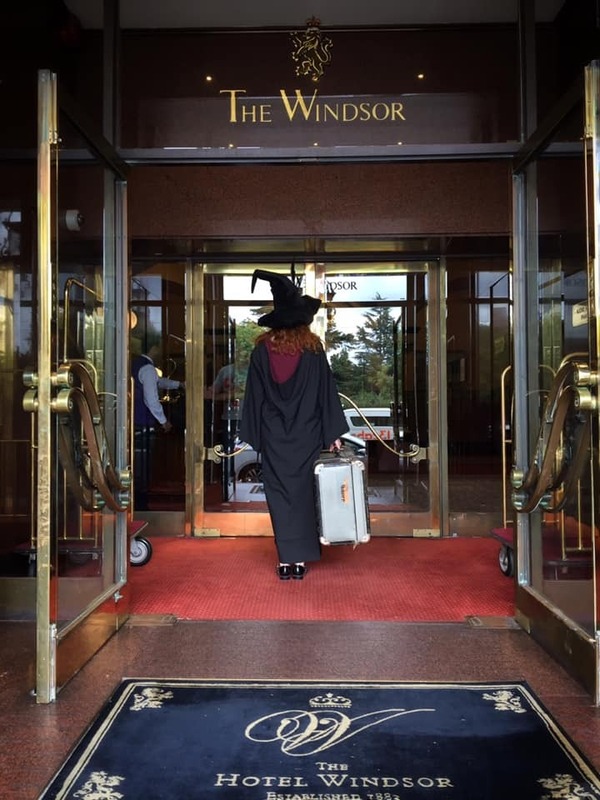 The stately hotel claims to have rolled out the red carpet for witches and wizards with bookings open until the 31 December 2019. Created with The Store of Requirement, the room has been decked out with spellbinding objects from a certain magical universe. The suite is (80 square metres) and filled with officially licensed merchandise (all available for purchase) from a certain magical world, including wands, artwork and other magical items. 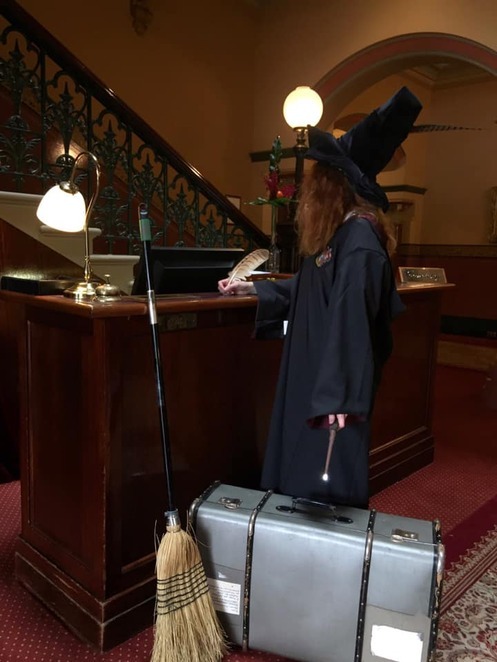 The entire lounge, separate bedroom and entry-way have been furnished, and a secret entrance-way lets witch and wizard families book a connecting Superior Room if needed. The hotel also offers these special guests a confectionary pack and stationery kit to take home when their magical adventure draws to a close! Just to be clear, this suite is not affiliated or endorsed by Warner Brothers and the Harry Potter / related brands but let's say it is very much in keeping with your night out at the theatre. The room costs much more than the standard rooms but if you are a die-hard fan or out for a special celebration, then the chance of this experience might be worth it to you. For details, phone 61 3 9633 6000 or email info@thw.com.au. For more information click here. The Store of Requirement mentioned above is in Collingwood. But don't let that put you off visiting between the two halves of the Cursed Child, as it is only 16 minute walk from the Princess Theatre and you have a long break in between Parts 1 and 2. Most Harry Potter fans with 'get' the reference. No doubt the name of the store harks back to Hogwart's Room of Requirement. As the story goes, to "open it" that room you must walk past the area of the door three times, thinking of what you need. After the third pass, the door will appear and you may enter to find everything you need. You can also enjoy a delicious Butterscotch Brew there. Wow, a Harry Potter themed hotel; that sounds amazing. Sounds great! A well written round up!